The Rockabilly Rave was great as always. Miss Mary Ann & the Ragtime Wranglers played Sunday night. We wanted to give the audience a special treat and asked friends to be our special guest on stage. Carl Sonny Leyland, Marti Brom, Pepper, Paul Ansell, Jimmy Sutton and Charlie Thompson; how can we thank you? It was a real pleasure to play with them all and we had a lovely audience; best ever; thanks so much! 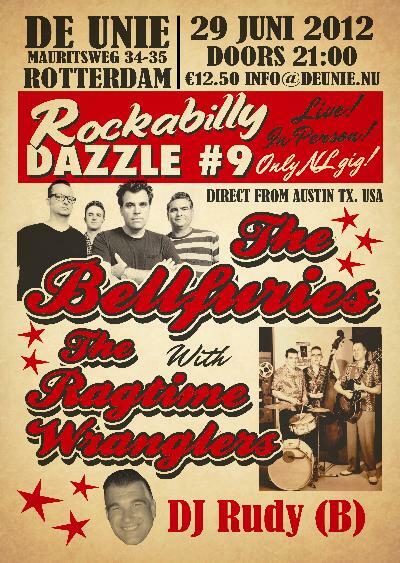 Don't forget: Friday 29 June Rockabilly Dazzle #9 wil take place in Rotterdam at "De Unie".  - this is the only NL gig the Bellfuries play! - over 50% of all tickets has already been sold. If you want to attend to this show be sure to buy your ticket on-line at the presale (click the flyer). Maximum amount of tickets available is 150 only !!! The Ragtime Wranglers will have a short night sleep after the Rockabilly Dazzle because next day they need to fly to the UK to accompany the Collins Kids on their European exclusive gig. They play at the weekender "The Wildest Cats In Town" in Great Yarmouth UK 30 June 2012. 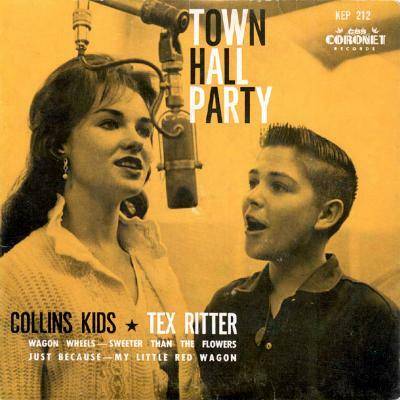 Flewn in from California USA, The Collins Kids will play your favourite songs like "Hot Rod", "The Rockin'Gypsy", "Hoy, Hoy", "Mercy", "Whistle Bait" and so on.